The funeral of John Kinsella, bookseller and 'character', who traded as JK Bookfinders in East London took place on Friday 29th October at St. Annes Church, E1. 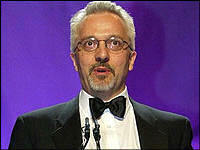 Born in Dublin in 1953 he spent most of his childhood and working life around Spitalfields in London. 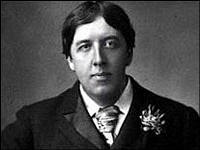 He visited bookshops across London, sharing tea or coffee, biscuits and gossip while a deal was done. Usually dressed in black and wearing his 'walkman' he would cover vast distances across London carrying a heavy holdall of books, the creaking of the holdall usually announcing his presence. The contents of this holdall would often vary with his direction, taking higher value items to buyers in the West End and bringing more general stock to the East. A very private man with a good eye for a book he was also a very generous one and had been known to find buyers for high value books without commission to help out a friend. An old-fashioned runner, he was one of a disappearing breed and his passing will leave a gap in the trade. May your bag be lighter now, John. A copy of the Shakespeare first folio, Comedies, Histories and Tragedies with 40 pages missing and other defects, including repaired tears, has been sold by Bloomsbury Auctions for £160,000 to an overseas collector. Discovered after the death of the previous owner in London in 2002 it took 2 years to trace the residual legatee, a Mrs. Anne Humphries of Manchester, who thought at first that it was a facsimile edition. 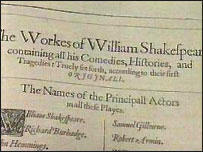 Bloomsbury identified it as the first collection of his plays, one of only six known to have survived, which had a printing of only 750 copies. The hammer price of £160,000 was the highest ever realised by Bloomsbury for a printed book. 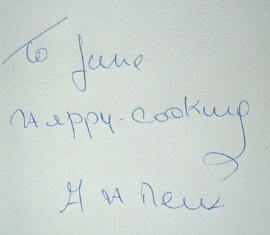 Signed Cookery Books - what is that signature really worth? We all have our favourite chef/cookery writer. It may be articles published in local newspapers or national magazines, but what of the celebrity chefs who publish several books each year? The name Jamie Oliver springs to mind, but is the added signature really going to make that publication more saleable in the future? During the 19th century, very few authors of cookery books signed their works and, if they did, it was normally to someone very special and the inscription would be personalised. These are referred to as ‘dedication copies’. Following on from the very few, shall we say rare, dedication copies the author would normally inscribe copies for members of their family, friends, and their mentors or even for other writers. These are known as association copies. Finally, there would be copies simply signed by the author. The latter half of the 20th century saw a tremendous increase in signed copies. This of course coincided with the upsurge in popular television chefs - including Johnnie and Fanny Cradock, Philip Harben and much later, the then rather outrageous Graham Kerr. This trend has continued and it is now quite normal for celebrity chefs to ‘bulk’ sign their latest book before it leaves the printers, with the result that some of these copies appear in the market place as remainder stock. First and as far as we can see the most useless is the signed ‘slip’, loosely inserted to the front of the book - the publisher provides the author with a large quantity of slips which for some strange reason they then proceed to sign. Secondly, are those signings normally to the title page and described by most book dealers as ‘signed to the title page’, although with the ever increasing sales of books on the internet, a new term of ‘flat signed’ is being used as a description for this type of signature. No other information as to date or location of the signing is included, so this type of signing can also be completed before despatch to retail outlets. However, the general trend is for the author to hold ‘signing sessions’ in town centre bookshops. Another aspect to be aware of is the facsimile signature, very common in Victorian times, and normally found on the frontispiece portrait of the author. It is making an appearance again today, particularly on autobiographies and music related titles. 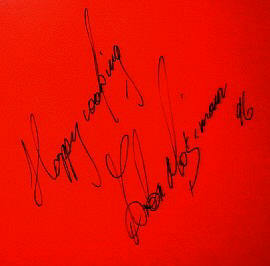 Thirdly, we have the general inscription, “Happy Cooking, Anton Mosimann ‘96”. 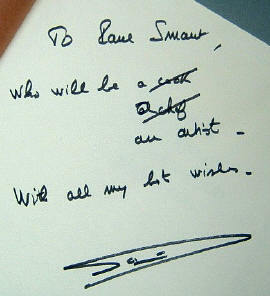 This type of inscription is not personalised, it relates to the subject matter of the book, and again it is the type of signing an author can complete in bulk. Fourthly, the personal inscription - “To June, Happy-cooking, A.H. Roux” At least you know the author had taken the time to ask the owner of the book their name, and who knows, with some further research, it may prove to have been someone of importance. However… there are always exceptions. What is the value of an inscribed post-it note? At a chance meeting with Antony Worrall Thompson in a local restaurant, where unfortunately we did not have a copy of one of his books for him to sign, he cheerfully signed a post-it note “Happy Eating, Antony Worrall Thompson AWT’. 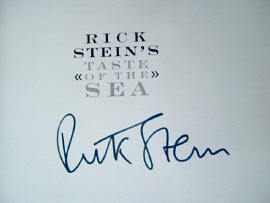 Although this signing is not specific to any one title, to us as collectors and sellers of cookery books, and AWT fans, it will always be one very special signature. Now to the value of a signature - the same formula should apply as with any collectable signature or autograph. Validation of authenticity is of paramount importance but how do you check this? Ask any member of Ibooknet, they will be only too pleased to offer their advice. As lifestyles change so will the value of collectable items. Who in the early 20th century would have thought a cookery book based on Chinese or Mexican cookery would ever be a best seller? And as the world becomes an ever smaller place what will be the most popular cuisine in 100 years time? We have already experienced the upsurge of ‘fusion’ foods. These factors will affect values but of greater significance is the fact that, as more authors sign more copies, those without inscriptions will have less value as collectable items in the future. Finally, one thing that we should not lose sight of is that collecting is very personal and without a buyer there is no value. Gabriel García Márquez's long awaited new novel 'Memories of My Melancholy Whores' which tells the story of an old man who remembers all the women in his life while making love for the last time, has had the last chapter changed by the author. Pirated copies of the original version of the novel have appeared on the streets of Columbia at half the published price, apparently a common practice in that country. In an attempt to stimulate demand a last minute change has been made to the final chapter of the official version by the 1982 Nobel Prize winner for Literature. Against the bookmakers' odds, the surpise winner was Allan Hollinghurst's 'The Line of Beauty', set in the Thatcher years of the 1980s and centred on a gay character Nick Guest against a political background. Allan Hollinghurst commented, "It was a horrible and upsetting time to live through and that was one of the things that kept me going in writing the book".